Tendonitis is inflammation of a tendon, the structure that connects a muscle to its bone. There are several tendons in the foot and ankle that are commonly affected. The inflammation can occur after trauma, from overuse, or as a result of another medical problem such as arthritis or collagen vascular diseases. The inflammation puts pressure on the surrounding nerves, causing pain, and releases certain chemicals that damage the tendon, causing further pain and sometimes altering the structure of the tendon. Most patients feel an aching pain in the area of the inflammation. There may also be swelling and/or weakness of the involved tendon. The pain usually increases with an increase in activity levels. Your doctor will examine your foot, moving it through various motions to evaluate more specifically where the pain is originating. He/she will look for areas of swelling and feel for lumps or gaps in the tendons. You may be asked to stand or walk so your doctor can determine if your foot structure or walking pattern are affected by or causing the problem. If tendon damage is suspected, you may need more testing such as an X-ray, MRI, or ultrasound. If there is a suspicion of an underlying medical condition, you may be asked to have your blood checked for certain products. There are a number of ways that tendonitis may develop. A common cause is overuse, usually occurring after an increase in your activity level, or from improper or inadequate stretching before a work out. There are several tendons in the foot that act as a pulley when they round the ankle joint. Improper or excess motion in the tendon around the joint it may create tiny tears in the tendon, which triggers the inflammation that causes the pain. Tendonitis may follow trauma, such as ankle sprains, or may be the result of a medical problem such as arthritis. In most cases, conservative treatment can relieve the pain. Applying ice and taking Tylenol, or non-steroidal anti-inflammatory medication will relieve the pain. Keeping the foot elevated, decreasing your activity level for a couple of days, and wearing a compressive dressing such as an ace wrap will also help a great deal. If the pain continues, your doctor may send you for physical therapy, such as contrast bathes, ultrasound, massage, electrical stimulation, and/or stretching and strengthening exercises. You may need to start wearing orthotics. If the problem is being caused by an underlying medical condition, your doctor may send you to a general practitioner or other medical specialist for treatment of that condition. In more severe cases, the tendon may need to be surgically repaired. 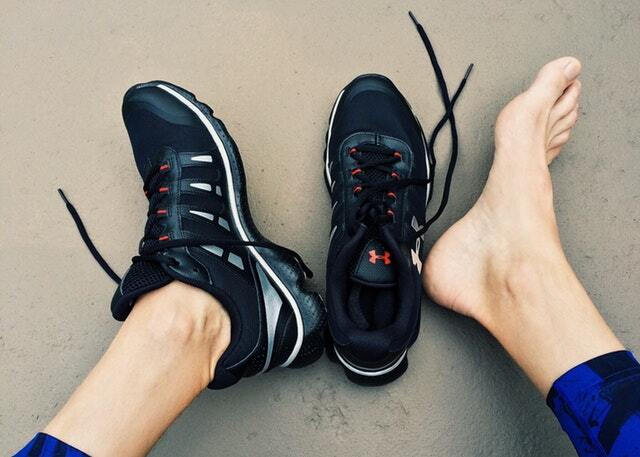 The best way to prevent tendonitis is to stretch properly before any work out or athletic event. Wear high quality, supportive shoes that are made for your specific foot type. If you have been prescribed orthotics, wear them as directed. If you have an underlying medical problem that may cause tendonitis, follow the treatment plan for that condition. Finally, keep in good communication with your doctor so that if a problem arises, it can be treated quickly and accurately.